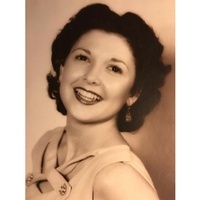 Barbara Shiver Kendall of Lakeland, Florida passed away Friday, January 25, 2019 at her residence. She was born November 1, 1932 in Waverly, Florida to the late Hildrey V. and Stella (Ward) Shiver. She grew up in this area and moved to South Florida in 1975 and then came back to this area in 1995. She was a retired Underwriter for Pioneer Bank in Stuart, Florida. Barbara enjoyed reading, music, flower gardening, going to the theatre, and spending time with her family. She is preceded in death by her husband James Henry Kendall, brother Buddy Scarlett and great grandchild Douglas “Dougie” Staniewicz. She is survived by her daughters Diane Kendall of Lakeland, FL, Karen Kendall of Jupiter, Florida, Dana Chartier and husband Jack of LaPorte, IN, brother Donald W. Scarlett of Maitland, FL, 8 grandchildren and 8 great grandchildren. Private family service with interment at Lake Wales Cemetery.